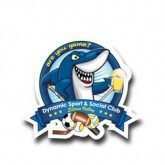 Dynamic Sport & Social Club was created to provide recreational sports leagues and social events for adults over 21. No matter your	skill level or athletic ability, you'll find a sport to enjoy and opportunities to socialize and make new friends that could last a lifetime. DSSC emphasizes recreational play that doesn't take the score too seriously. Kickball, dodgeball, softball, volleyball, flag football and soccer are a few of the sports we play, plus after-game socials and an end-of-season party. It's a great way to meet new people, or just kick back on a workday evening or weekend with a good beer after a great game.